The pieces that will keep you cool in the office but looking hot! As we all know, there is nothing worse than feeling hot and sticky during the summer months, especially at work. Constantly wondering if that sweaty smell wafting around the office is you. Well, not this summer! 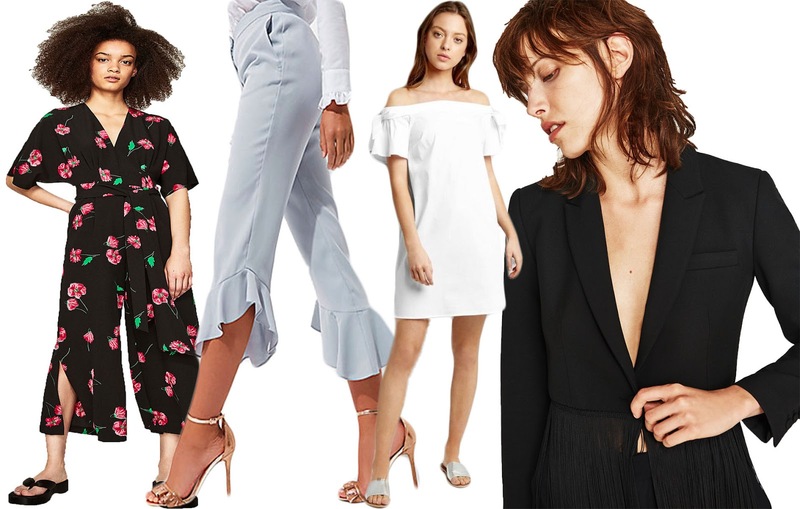 Our Fashion Editor Libby Burgess has researched thoroughly throughout the high-street stores and found some of their best summer buys which will be perfect for work during the sweltering months. She's picked out outfits which enable you to remain smart while feeling cool and not overheating, sounds near enough impossible right? Starting with the perfect silhouette of loose fitting trousers, which don’t lose your womanly shape. 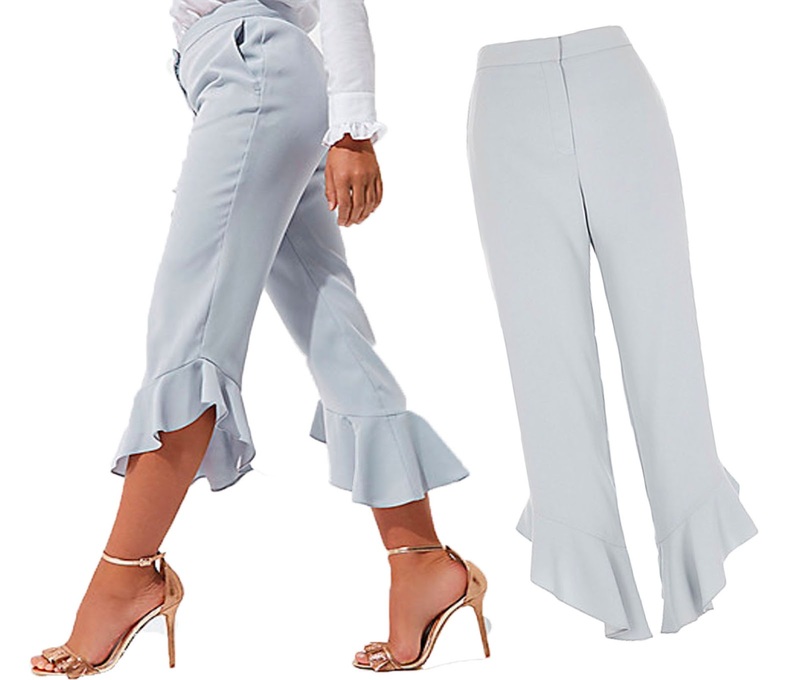 Finding trousers which cut off at the right point can be extremely difficult sometimes, (especially when you’re short like me), that's why palazzo pants and culottes style shapes are one of my favourites this season. This design is my beloved pick for the summer. The feminity touch around the waist creates shape, and the elegance of the straight leg, (combined with the ruffles one piece), allow an elegant, understated look to be created, while the light weight fabric will keep you cool in the office. Grab yours while they’re still in stock, I have a feeling they’ll be flying off the shelves! An essential look for the office is a smart blazer, an item of clothing which has the potential to change any outfit into the statement of the office. Although you may think it's too hot for layers of clothing, these adaptations of the traditional blazer allow a trendy look to be created, while allowing you to stay cool and ready for a day in the office. This statement Zara blazer is one of my ultimate favourites, the fringe at the bottom of the cropped jacket creates a fun and quirky take on a traditional piece. This simple Bardot dress from New Look is perfect for this time of year. The length is appropriate for work, only being a few centimetres higher than the knee, and the off the shoulder look allows a demure and professional style to be created. The feminine bows on the shoulders of the dress set off a summery feel. The lightweight fabric used will mean that you will stay cool all day long in the office. 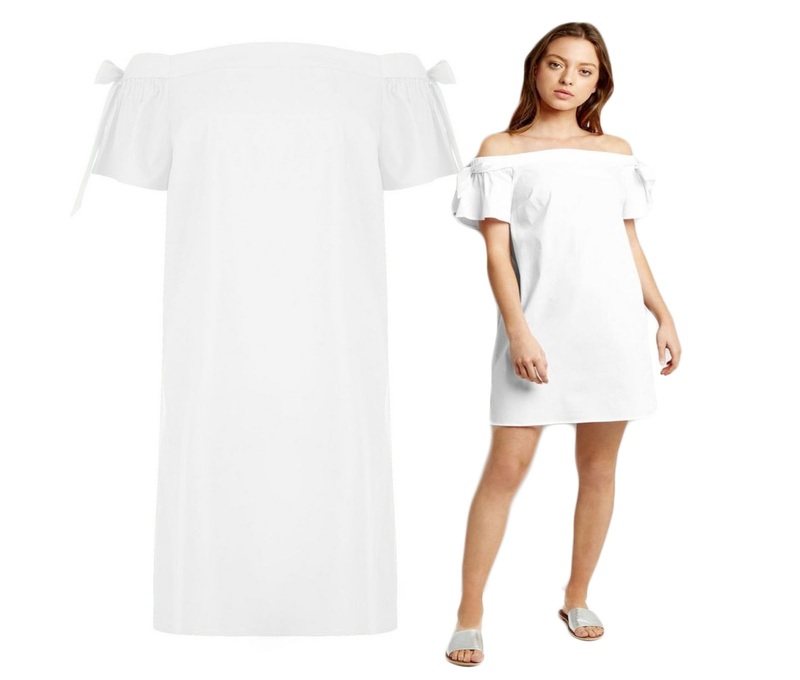 I think the best thing about this dress, other than the bargain price, is that it can be teamed with either flats or high heels to create two completely different looks. Whether you’re going straight from work to have drinks with the girls, or simply looking stylish in the office, any look can be accomplished. 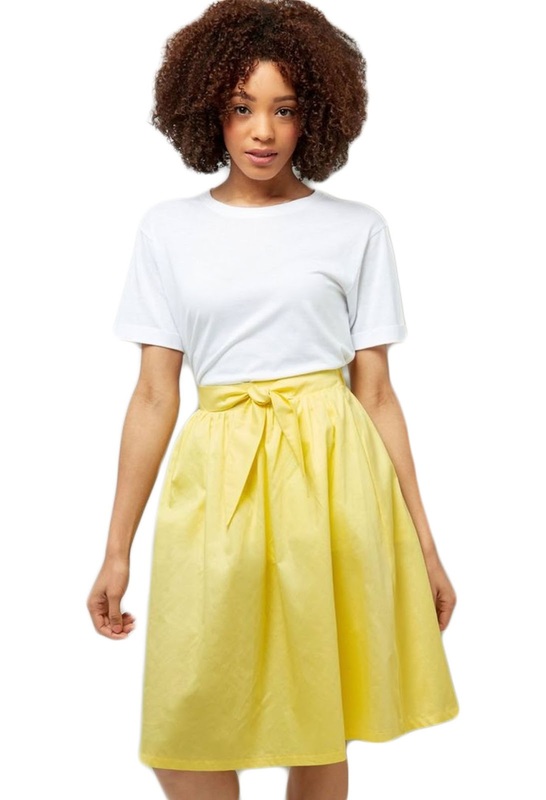 New Look’s yellow midi skirt is one of the most fun and summery things I came across on the high street this season. The bold colour will make anyone feel summery even just by looking at you! The length of the skirt creates a professional look which is appropriate for a day at work, and teamed with either a casual or a smart top, this look will be perfect to keep you cool and surviving the summer sun this year. The simple bow finish at the front of the skirt makes it fun and girly. You’re sure to be the style icon of the office in this number! This light blue jumpsuit is a true beauty. The elegance and softness of the fabric, combined with the almost masculine shape of the wide legged jumpsuit creates a juxtaposing garment which is perfect for the office. The soft detailing of the segmented back remains appropriate while allowing some fun and beauty to come into the garment. The length of the sleeves helps the garment to remain professional and elegant and ensures that the wearer will remain cool by using the chiffon fabric. Although it is on the more expensive side of the range at Zara, I could hardly resist, even with a bigger price tag. I know that this garment would be something that I could re-wear many times, and it would become a statement piece amongst my wardrobe. Jumpsuits are definitely one of my favourite garments to come out of this season. The easiness of them is one of the things which attracts me to them. 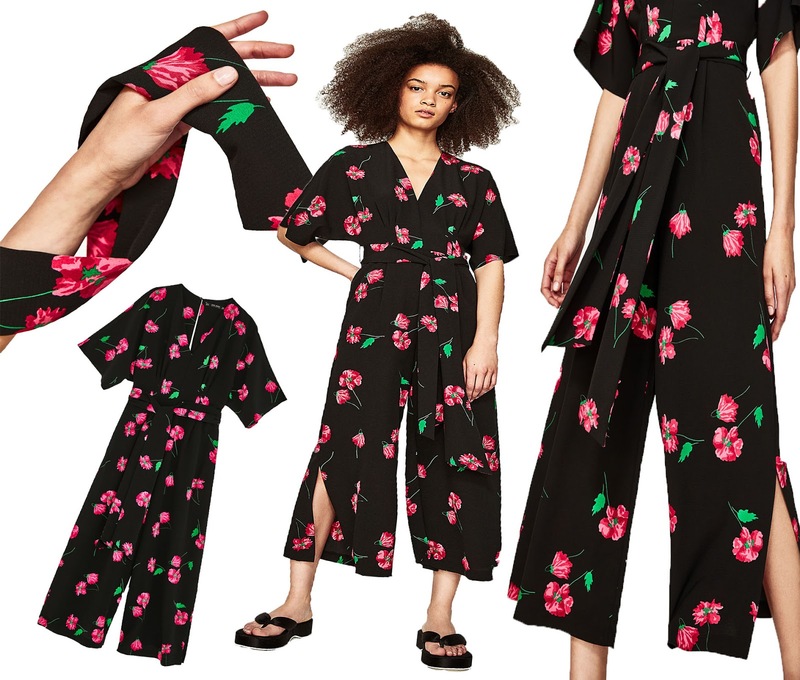 The long legs of the jumpsuit, and the assorted designs and shapes which are used on top, can create an elegant look which will keep you cool all through the summer. Whether it’s blazing heat outside, or even if we get some summer rain, the jumpsuit will cater for all occasions. These two jumpsuits by New Look and Zara are two of the prettiest jumpsuits which I came across. How can you not adore them? I can’t wait to order both in my size!